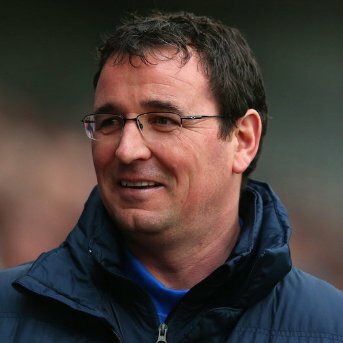 The current Manager at Blackpool is Gary Bowyer. Manchester born Gary's father is Ian Bowyer a two time European Cup winner with Nottingham Forest. A long coaching career for Gary, notably at Derby County, preceded a spell as Manager at Blackburn Rovers. M1 and M6 to its Junction 32. Pick up the M55 towards Blackpool. Simply follow signs from this route which is very straight forward and extremely well identified. The stadium is basically half way between the two most iconic landmarks in the town, the Tower and the Pleasure Beach and about 10 minutes walk inland. There is a very large Pay and Display car park literally outside the ground, cost from £3.50. Street parking (although restrictions apply) is available in the immediate area too. 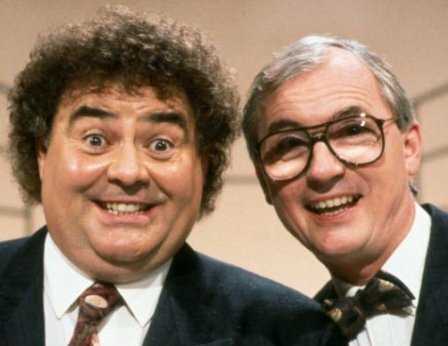 A London Euston train to Blackpool North will take about three hours but getting back home straight afterwards will be about as likely as..............I have to be careful not to get sued or upset somebody. The station is a couple of miles from the ground – cabs it is then! 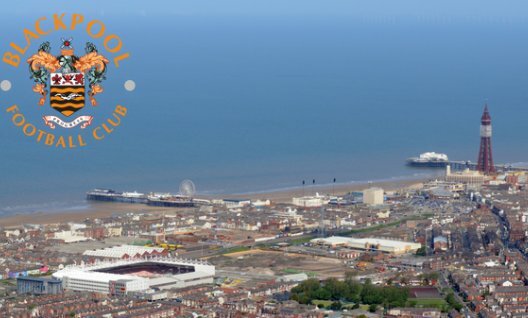 Come on it's Blackpool – you don't need me to tell you what to do, If you must.....the club recommends The Old Bridge House on Lytham Road (10 minutes from stadium), The Waterloo in Waterloo Road (5 minutes) or the Auctioneer near Blackpool South Station which is Wetherspoons outlet. The food on offer inside the ground is really good with a heavy reliability on you “pie” lovers. The ground has completely changed on all four sides since our last visit - now three smart single tier interlocked stands adorn the West (Stanley Mathews Stand), North (Stan Mortensen Stand) and South (Jimmy Armfield Stand) with the temporary East Terrace just left for development to complete the picture. The ground has a capacity of around 18,000. Away fans are housed in the Stan Mortensen (North) Stand, at one end of the ground. Up to 2,500 supporters can be accommodated in this area. 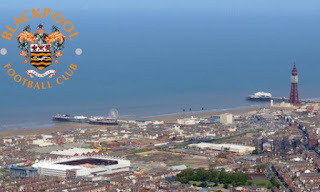 I have some fantastic memories of Blackpool for Bees away days although we have lost on all four visits. The 1992 play-off second leg was too much to bear as frankly we were the better team over the two games....honest. The 3-2 defeat in April 2001 was also a bitter pill to swallow as it set up the “winner takes all” game against Torquay at Underhill which......yeah I know. Nicky Evans scored in a 1-3 defeat in 1993 in a game that we were a million miles ahead of the opposition but sometimes it doesn't happen for you does it? Nicky seemed to score everywhere though. I will not name the B and B I booked for the Reckless Family one year with a couple of other Barnet supporting families but we caught the owner serving us draught beers in the bar into the early hours at £3.00 a pop but realised they were being poured from cans @4 for £3.00! 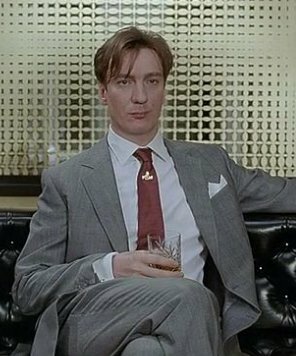 Still, I had wealth in those days! However spending some time with your Bees buddies on a beach-combing, banter-filled, bar visiting, black pudding balm cake black and amber beano to Blackpool always made up for the misery of defeat......well slightly. 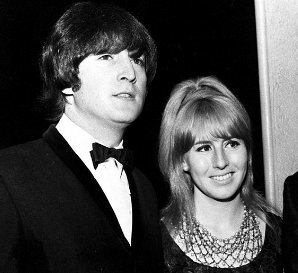 19th Century Icon John Lennon's first wife Cynthia Powell was born here as was TV presenter Zoe Ball, Really funny comedians Lennie Bennett and Syd Little (and Large) plus actors David Thewlis and Ricky Tomlinson also hail from these parts.